Diesel has done something pretty for their new Reboot campaign…and we like it! They decided to forego the use of regular models who only represent one type of body size, in favor of tumblr bloggers. Yes, you read that correctly, bloggers! So how did this all come about? First, it started with the appointment of Lady Gaga’s former stylist Nicola Formichetti as the new and first artistic director for Diesel, back in April 2013. He wanted to move away from the brand being too big and celebrity driven and take it to the people who are actually spending money on it. And thus a fabulous idea was born. What better way to reach the every day people, then get online and dig into social media and blogs! Eventually they chose 20 people from New York who all have a tumblr following, and the greatest this about them is that they represent such a wide variety of the public. 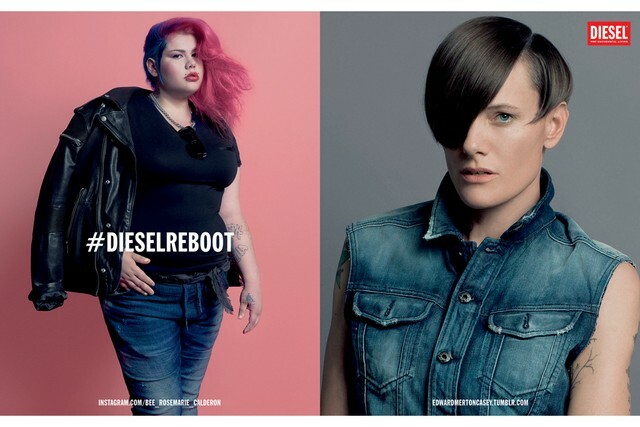 They have curvy pink-haired graffiti artist and mother Rosemarie Calderon, Olympic swimmer turned model Casey Legler who has broken gender barriers being cast only in men’s campaigns for her androgynous looks, a 15 year old blue-haired film student Helen Primack, and a photographer Benjamin Ackermann. They have included a couple of regular models in the mix also. Formichetti tells Women’s Wear Daily that he thinks its important the brand and this campaign reflects a generation of digital influencers. “I wanted to find people who reflected the diversity of the creative community today and not just the typical model. I wanted the campaign to showcase a variety of characters, people who are beautiful in their own unique way,” said Formichetti. What a kickass movement! And hurray for another big brand expanding it’s definition of beauty and wanting to represent the diverse range of consumers who will actually buy and wear their product. 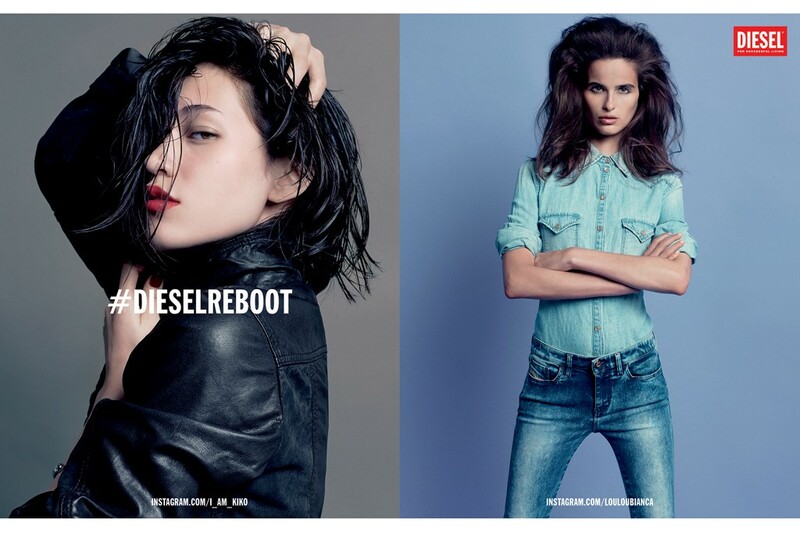 Check out the daily pics on the Diesel Reboot Tumblr page and stay tuned for all the assignments Nicola gives out. Who knows, you could be part of this exciting campaign!